An eye catching succulent for the alpine garden. 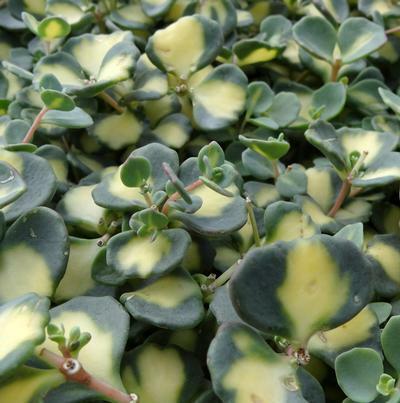 Slate green foliage has cream white centers (gold in spring). The branching habit makes it appear like a cute little water fountain. Pink flowers bloom on tips in summer.